The investment calculator returns conditions for a given investment inquiry. You can find out the future value on an investment, how long it would take to reach an investment goal and the amount of money that must be deposited on a regular basis to reach your goal. You can use the calculator to return this type of information by selecting from the options available. A brief descriptive text about the selected option will be displayed above. Fields not required for the selected calculation type will be disabled. 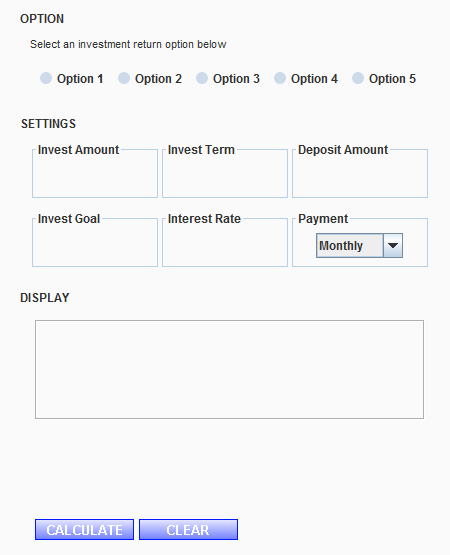 After filling the appropriate fields, click 'Calculate' to display the investment information. Invest Term - The duration period of the investment. Interest Rate - The interest rate of the investment. Invest Goal - The amount you expect to accumulate. Invest Amount - The amount of initial investment. Deposit Amount - The amount of money deposited. Deposit Frequency - How often the deposits are made. 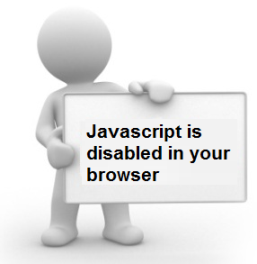 » Java must also be enabled to run inside your web browser.